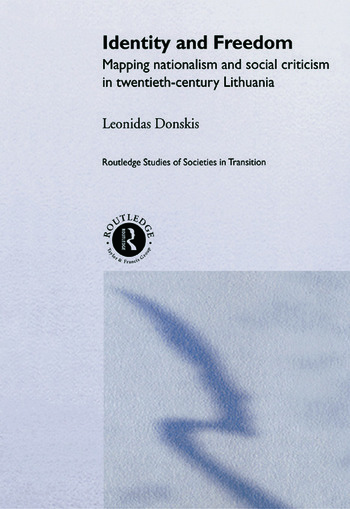 Identity and Freedom provides a discursive map of Lithuanian liberal nationalism by focusing on the work of three eminent Lithuanian émigré scholars - Vytautas Kavolis, Aleksandras Shtromas and Tomas Venclova. Presenting these critics of society - and also analysing the significant impact of such writers as George Orwell and Czeslaw Milosz on Lithuanian political and cultural dissent - the book elaborates their three models of liberal nationalism as social criticism. Incorporating material which has so far only been available in Lithuanian, Polish and Russian sources, this book will be invaluable for anyone interested in Central and East European politics, culture and society.